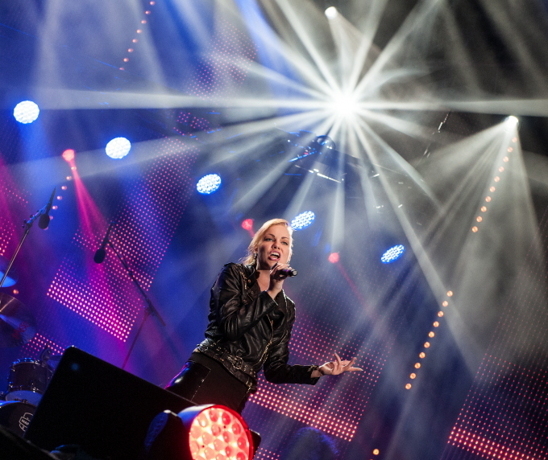 La Godiva made a great performance in the Baltic Song Festival in Karlshamn (Sweden) in front of thousands of people. 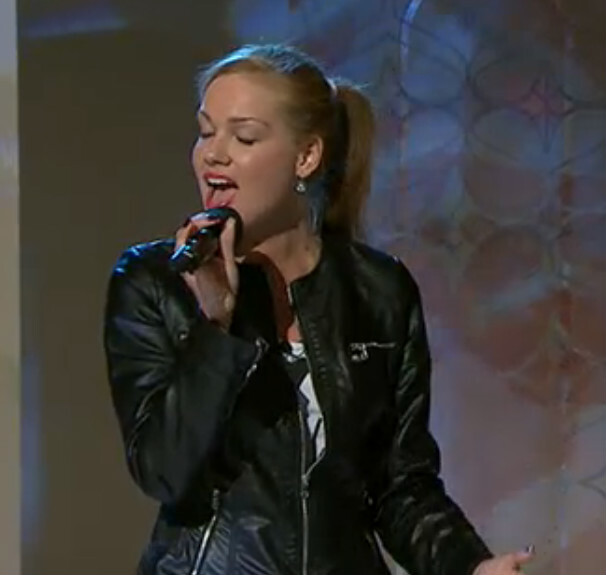 She performed her two songs "Farewell" and "You Never Call Me Back." Read more about it here. INTERVIEW WITH THE SWEDISH NEWSPAPER "BLEKINGE LÄNS TIDNING"
La Godiva got written up in a Swedish newspaper "Blekinge läns tidning." 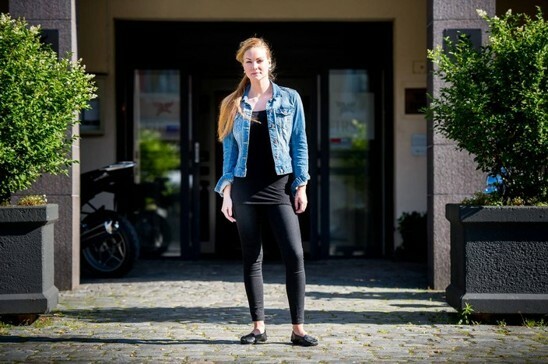 La Godiva was interviewed on the Czech Eurovision Song Contest official site about her upcoming performance in the Baltic Festival. Read full articles about it here and here. 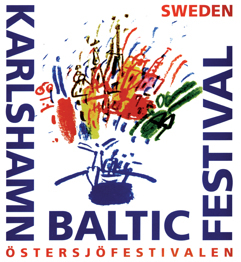 La Godiva is representing the Czech Republic in the Baltic Festival in Karlshamn, Sweden. La Godiva performed at the DJ Festival Wonderland in Prague with Danny Avila and Twoloud among others. 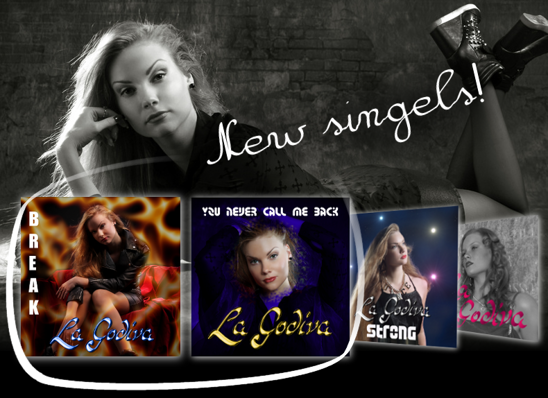 Check out the interview of La Godiva on Regina Radio FM 92.6 (Czech). La Godiva showed up on the TV show Dobre rano (Good morning), in the Czech Republic, for an interview and some live singing. See the interview here: part I and part II (in Czech). See the live performance of the acoustic version of You Never Call Me Back here with Jan Palán playing the guitar. ​LA GODIVA ON "DECENTNI VECER"
La Godiva and Standa Hložek (a famous Czech singer and songwriter) after the performance on The Formal Evening (Decentní večer). La Godiva is going to perform at the DJ Festival Wonderland in Prague April 18, 2014. Check out the new singels: Break and You Never Call Me Back. La Godiva appears on the Czech TV Channel ZAK in a brief documentary about her singing career. La Godiva having a great time DJing all night long at the dance club Patricia in Stockholm. La Godiva put on a performance of her latest hits at the prestigious music club Pantheon in Plzen (Czech Republic). The occasion was a midnight celebration of the club's anniversary. LA GODIVA ON THE TV SHOW "HOME ALONE"
Check out the appearance of La Godiva on TV with an exclusive interview and a live performance of her new hit For So Long on Sama doma (Home alone), Czech Television, Channel 1. 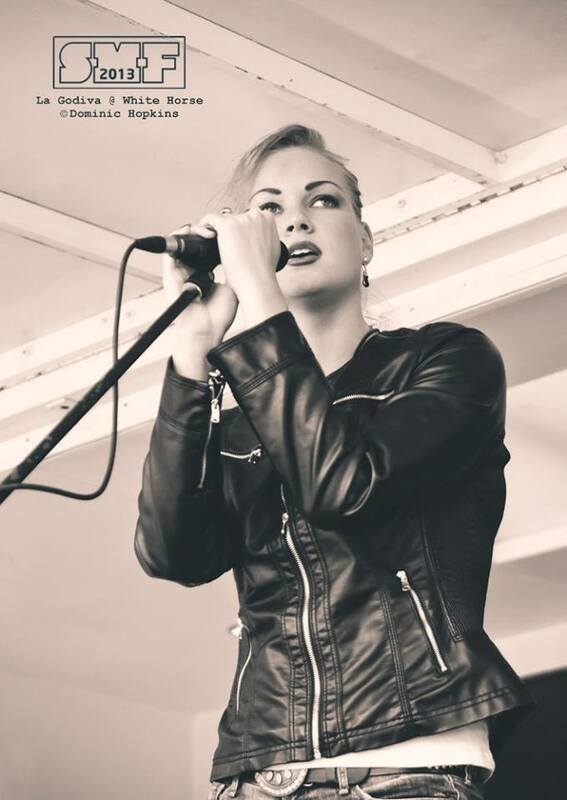 La Godiva is back from her live performances at the Salford Music Festival 2013! 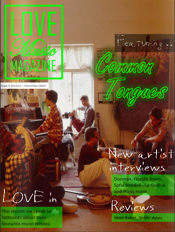 INTERVIEW OF LA GODIVA IN "LOVE MUSIC MAGASINE"
Check out the exclusive interview with La Godiva in Love Music Magazine Issue 5 by Emma Walker. THE SONG "BUSY WORLD" IS NOW ON SOHBLOG! 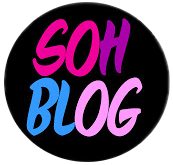 The song Busy World by La Godiva made it on the international EDM song website Sohblog! You can now listen to La Godiva on Paul FM Radio, a dance music radio station (mostly Dance, Pop, EDM, Trance and House). On September 27-28 in the evening La Godiva will be having an interview on the Salford City Radio 94,4 FM (Manchester, UK). 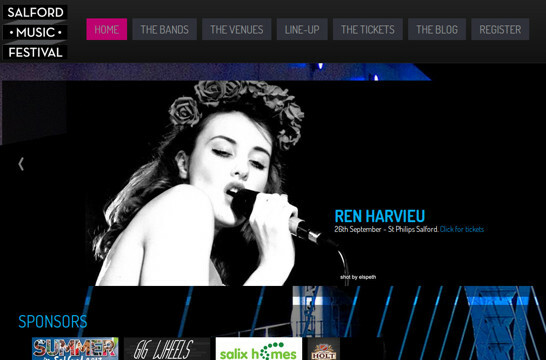 La Godiva is performing at the Salford Music Festival just outside of Manchester (UK) on September 27. La Godiva is performing at the Decibely Pomoci Festival in the Czech Republic on October 5. It's a charity for various fundraising organizations for children, such as SOS Children's Villages. The crew and guests on the Czech TV Show "Na Forbine" with the host Tomáš Matonoha (on the right). La Godiva showed up in a Czech TV show called Na Forbine on the last espisode of the season. The shooting took place in Brno in front of a live audience and consisted of an exclusive interview, acting in a comedy scene, and two singing performances of the songs Farewell and Hell No. EDM RADIO IS SUPPORTING LA GODIVA! 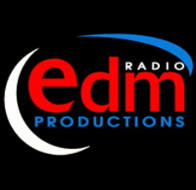 Thanks to British EDM Radio Productions for promoting and supporting La Godiva! 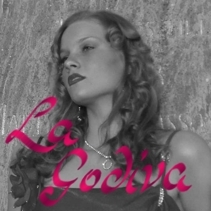 Check out the new songs from La Godiva! Get the debut EP from Amazon or iTunes. 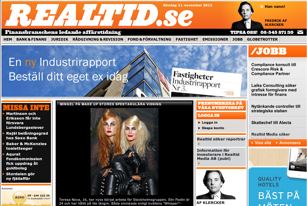 La Godiva appearing on the Swedish news site Realtid.se about the MAKE UP STORE fashion show with their new collection WHISPER.